Determine how effective intravenous vitamin C is at preventing hairloss while undergoing conventional chemotherapy. This is a retrospective observational study. Patients who have survived cancer using a combination of chemotherapy and IVC within the same week will be queried about their hair loss experience. For patients yet to undergo the process there are 2 IVC options: bolus IVC, wherein they receive 50g infusions of IVC twice weekly during the chemotherapy. Alternatively they may be fitted with a small prefilled IVC ambulatory pump which is worn during the day and fits under the clothes. It is added in the morning and removed at night by the patient, and is easily attached using methods common in the TPN (total parenteral nutrition) field of medicine. Quality of hair when doing IVC, with or without chemo, relative to normal quality (thickness, body) of hair. 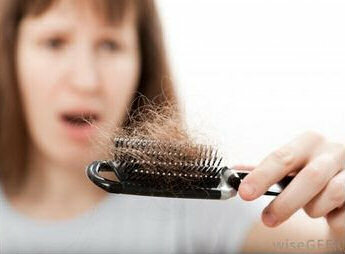 How much, if any, increase of accumulated hair was observed in combs and hair brushes while undergoing chemo and IVC. Did oral vitamin C prevent hairloss, and how much was required to prevent hair loss. Where was hairloss most apparent, if at all, when IVC was given? If IVC was given as a monotherapy after chemo, did it accelerate hair growth compared to conventional observations, and at what rate? Conditions Affected : All cancers where conventional chemo was implemented and where IVC was also given. Supporting Studies : Hairloss is a common incident for chemo patients. The phenomena can be emotionally distressing and even debilitating. Often the hair follicles are damaged in the process and the hair never returns to it's full body, or color. For some patients, certain treatments, and with some cancers, for example the breast cancer drug docetaxel, which is sold under the brand name Taxotere, permanent hair loss has occurred. Competing treatments : None. Hairloss is believed to be an unavoidable a side effect of chemo for which there is no cure.